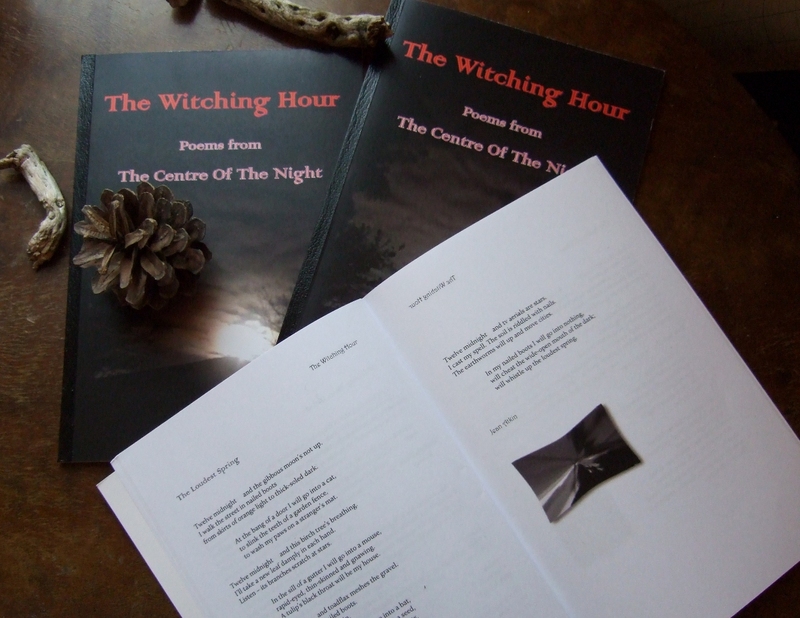 It’s great to have a poem in this new pamphlet ‘The Witching Hour’, from Beautiful Dragons Press, put together by Rebecca Bilkau. It’s been a collaborative adventure with twelve poets and a photographer, to mark the night of Walpurga, the eve of May, the rush of spring. We each worked at a poem at midnight on 30th April, in locations ranging from Oregon in the west to Lower Saxony in the east. I worked in our Victorian back garden and in the street outside its gate. I watched stars, no moon was up, through the first unfurling leaves of our birch tree. Other poets are: Elizabeth Burns, Carola Luther, Eleanor Rees, Sarah Hymas, Polly Atkin, Deborah Alma, Michelle Mitchell-Foust, Stephanie Lammers, Janice Fitzpatrick-Simmons, Eileen Pun, Rebecca Bilkau. And the photographer was Una Murphy. Jean Atkin November 13, 2013 October 23, 2015 Beautiful Dragons Press, Rebecca Bilkau.